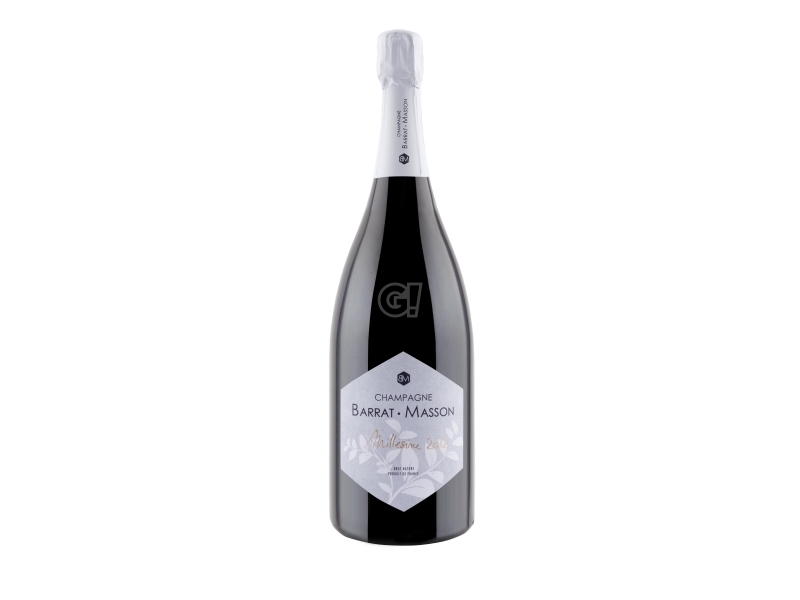 Barrat-Masson was born in 2010 thanks to Aurélie, enologist, and Loïc, vigneron, to express their love ofr the vineyards and wine through their Champagne. The domaine Barrat-Masson has a surface of 7 hectares, managed according to organic agriculture, not far from the village of Villenauxe-la-Grande (Côte de Sézanne) with 90% Chardonnay and 10% Pinot Noir. Technical guidelines, both in the fields and in the cave, are a natural intuition for them, enriched by their passion for Champagne. They claim nature's richness and chose to convert to organic agriculture in order to respect their terroir and let their Champagnes unveil their personality.